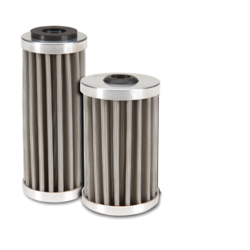 Pioneers in the industry, we offer ss filter and stainless steel welded cartridge from India. 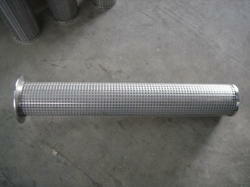 We are the manufacturers of the SS Filter that have been made from the best possible raw material. These materials have been procured from vendors who supply stainless steel products. They are known for their filtration process that enhances the overall progress of the work. They have undergone stringent checking to ensure proper functional level. They have been cherished by our clients for the sturdiness and practical settings. Backed by the team of skilled professionals, we are manufacturing, wholesaling supplying a wide assortment of Stainless Steel Welded Cartridge. This cartridge is available from us on various specifications as per the needs of patrons.The offered cartridge is manufactured from the optimum quality material and modern techniques in accordance with the set standards of the industry. The offered cartridge is tested in terms of quality so as to deliver a flawless range. Looking for SS Filters ?